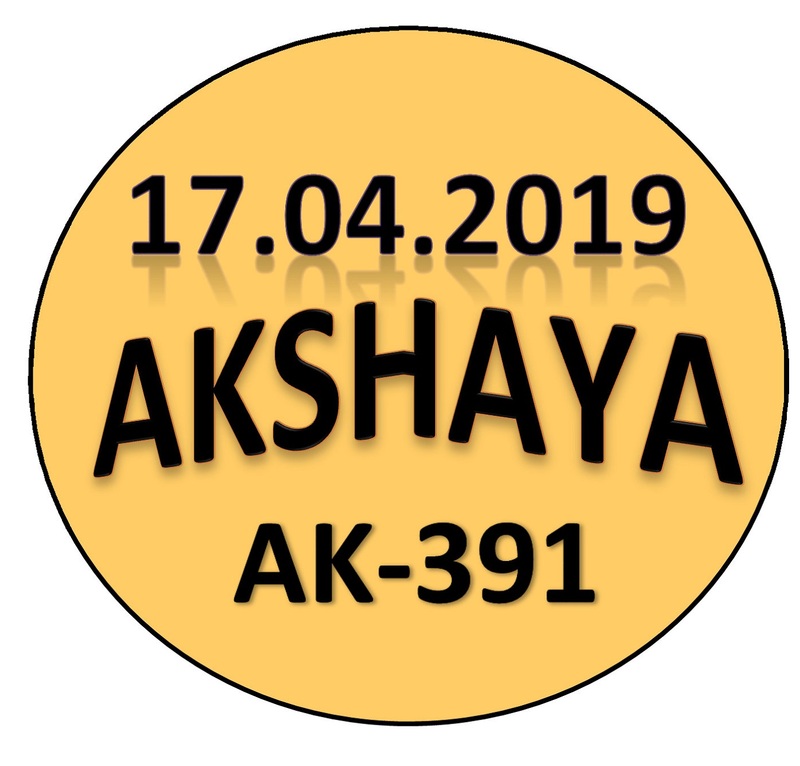 Kerala lottery guessing / predictions for AKSHAYA AK-391 dated 17.04.2019 is published below.These guessing number are just our and our visitors predictions. This is only a speculative game for fun and to increase the curiosity on the draw. 4/16/2019 15:19:48 P.Ganesan Poovai 954.,957,958. 4/17/2019 0:00:25 Mohamed faizal .al.grand .hotel. Nagercoil 013.555.888. 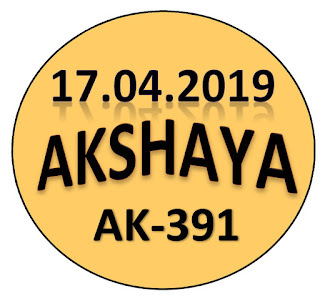 4/17/2019 0:09:37 APSRL.Laksh K.patti kovai "458"459"451"
4/17/2019 9:10:00 Mohamed mpm 464*840*682*411*412*413*094? 4/17/2019 12:44:29 Prasad.k O g l All bord (2/5/8) 258;528;825;852;582;285. 4/17/2019 13:39:33 சிவக்குமார் மதுரை ALLBOARD..4..2..0..
573. 574. 575. 584. 583. 585. ALL BOARD: 5 - 4 - 2. FB. : KL ROYAL KING GUESSERS. 859, 850, 829, 820, 879, 870.